One of my favorite historical sculptural subjects is the flight of the Birkebeiners, the story after which the Norwegian and American Birkebeiner cross country ski races are patterned. 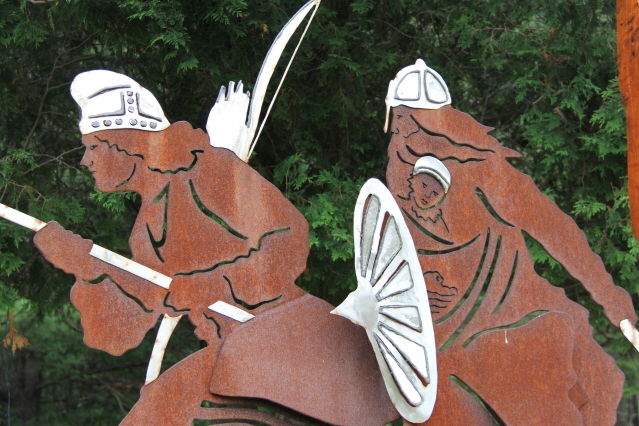 The story recalls the 1206 Norwegian civil war transport to safety of the baby Prince Håkon Håkonsson by the birch bark legging clad Birkebeiners Torstein Skeivla and Skjervald Skrukka. 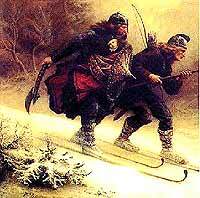 It is that difficult winter ski traverse that is re-enacted by modern day birkebeiners in the Norwegian and American ski races. The little prince, Håkon Håkonsson, became one of the best of the Norwegian kings Norway. He ended the civil wars and under him, Norway had its days of glory in the Middle Age. 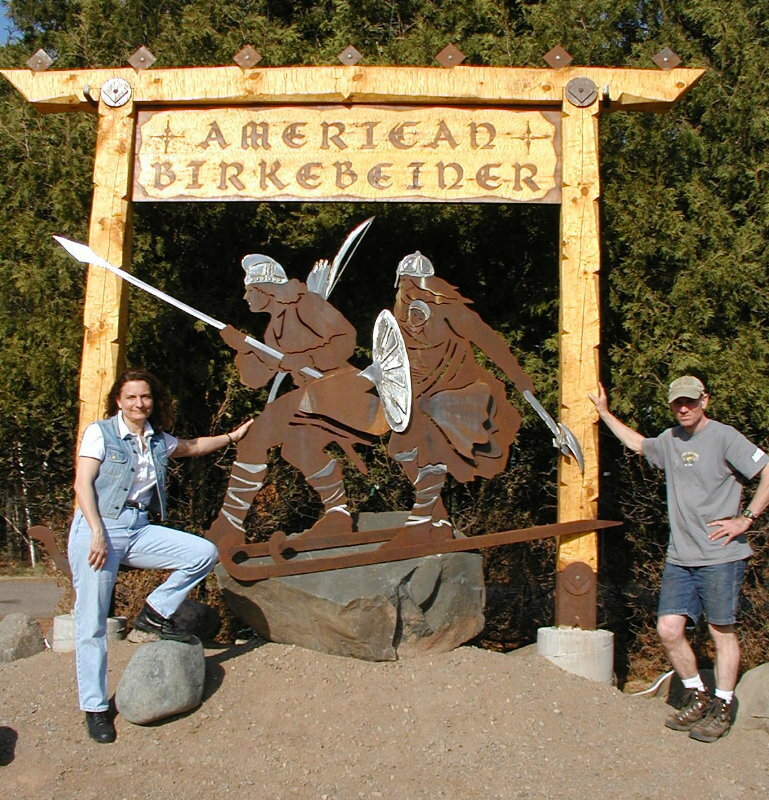 With this, the story of the Birkebeiners made history. Visit http://en.wikipedia.org/wiki/Birkebeiner for more information on this great bit of Norwegian and skiing history. 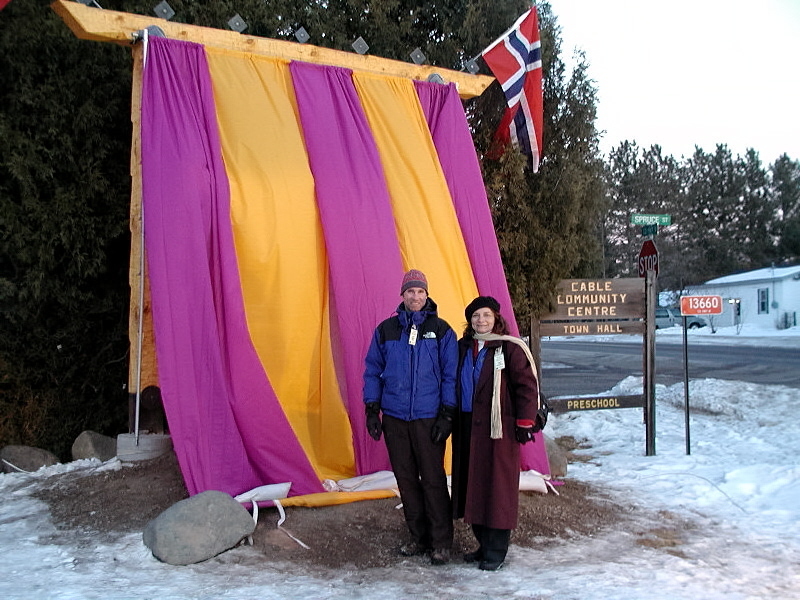 In 2013, the American Birkebeiner (www.birkie.com) celebrates its fortieth anniversary. 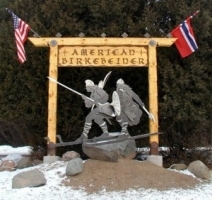 Over time I have sculpted the Birkebeiner image and other similar ski themed images in honor of this inspirational story and the annual winter gathering of the Nordic world in Cable and Hayward, Wisconsin. 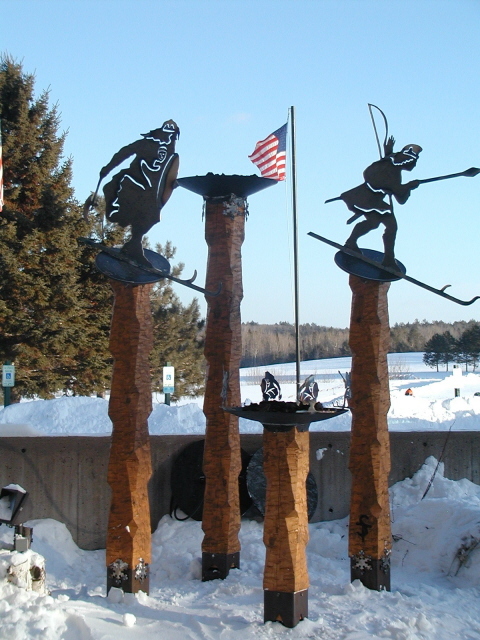 In 2003, in celebration of the 30th running of the race in the United States, I was commissioned by the American Birkebeiner Ski Foundation to sculpt American Birkebeiner – Courage, Endurance and Perseverance. 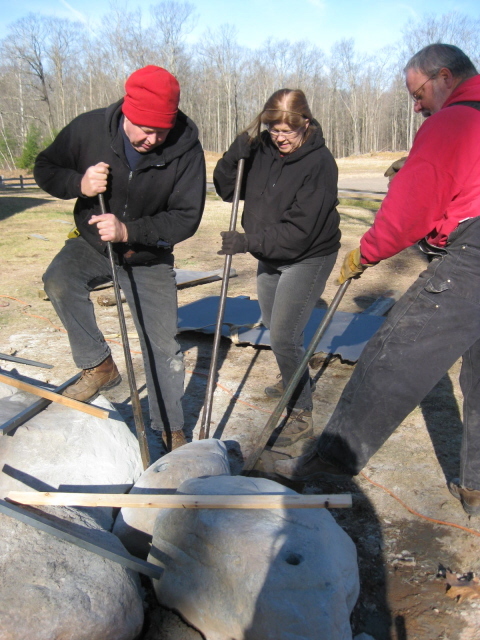 Partnering with friend and fellow artist Terry Tansey from Seeley, WI, the sculpture was installed at the CableCommunity Center on County Highway M in Cable. 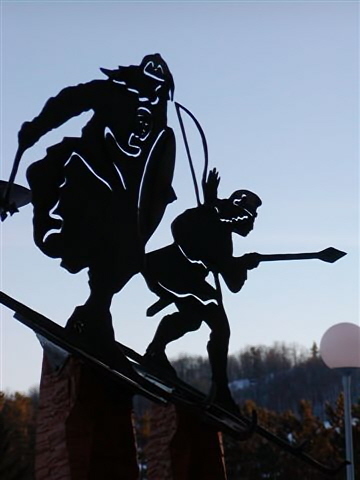 As a monument to local ski history it welcomes visitors from around the world to a reknown gathering of cross county skiers. 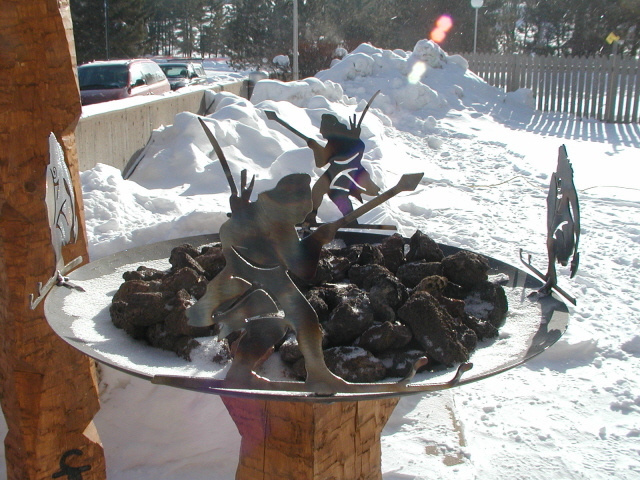 The Birkebeiner Warrior Torch was another collaboration with Terry Tansey whose rustic timber frame talents adds a rustic wooded element to the creation. 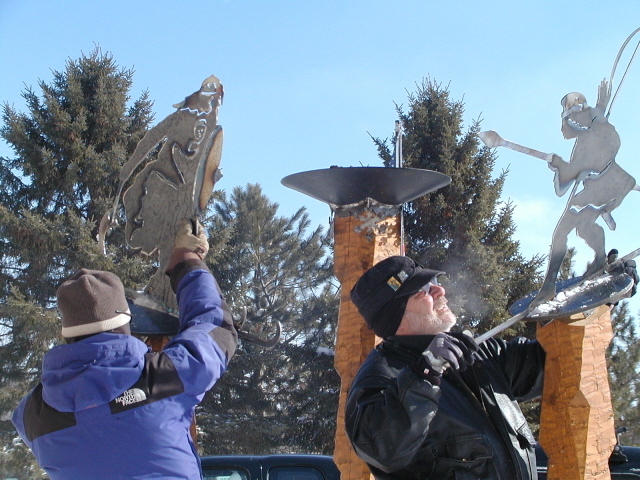 Created in 2009, the four tower installation features Birkebeiners Torstein and Skjervald in their classic ski poses flanking two flaming cauldrons. 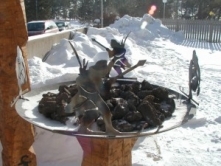 Each year the Birkebeiner Warrior Torch is installed at the Cable Area Chamber of Commerce building in Cable during the Nordic ski race week serving as an inspiration to all who participate in this great event. 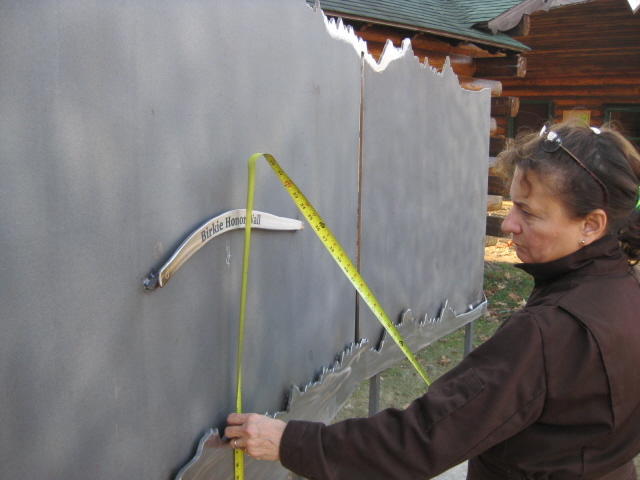 In 2010, I was commissioned to create The Birkie Honor Wall which was installed in front of the County 00 rest cabin in Seeley on the Birkebeiner ski trail. 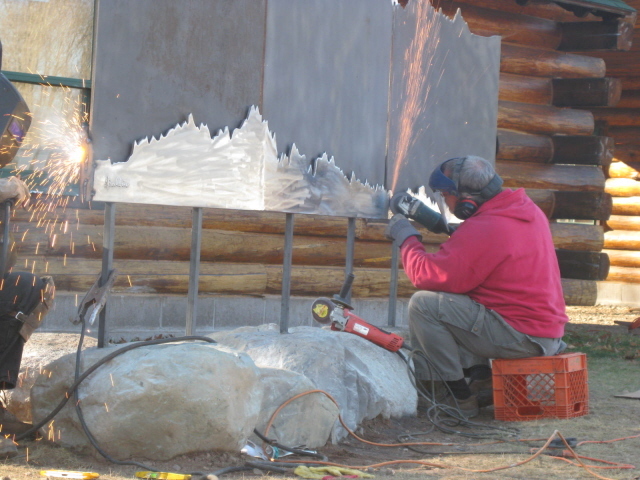 Working with my steel fabricating partners Paddy & Linda Steavenson of Hayward, the multi-sectioned topographic sculpture presents a trail profile of the entire trail traversed by stainless steel skiers and runners. 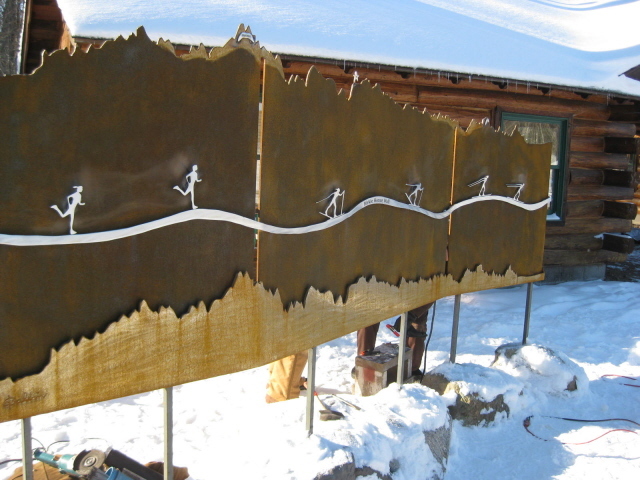 The Birkebeiner foundation encourages those who wish to honor someone on the Birke Honor Wall to purchase an engraved plaque. 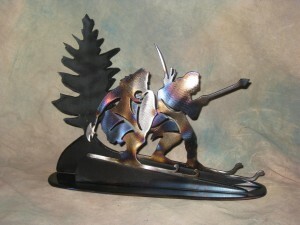 In a smaller format I have recreated the two Birkebeiners skiing in a table top sculpture on rock and steel bases. 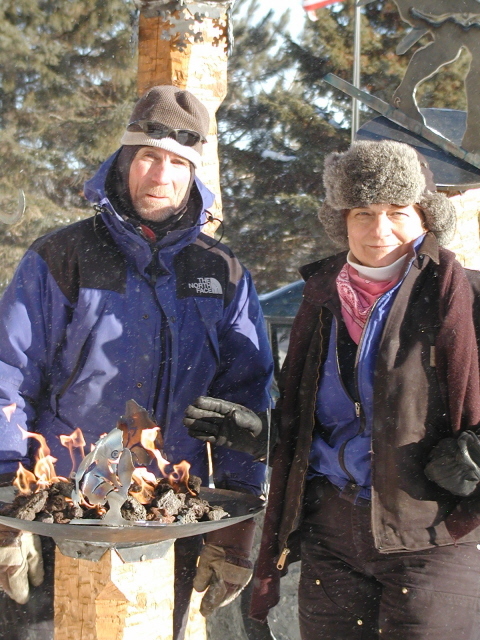 These smaller sculptures are valued by Nordic skiers from around the world who take them home as a memento of the American Birkebeiner experience.